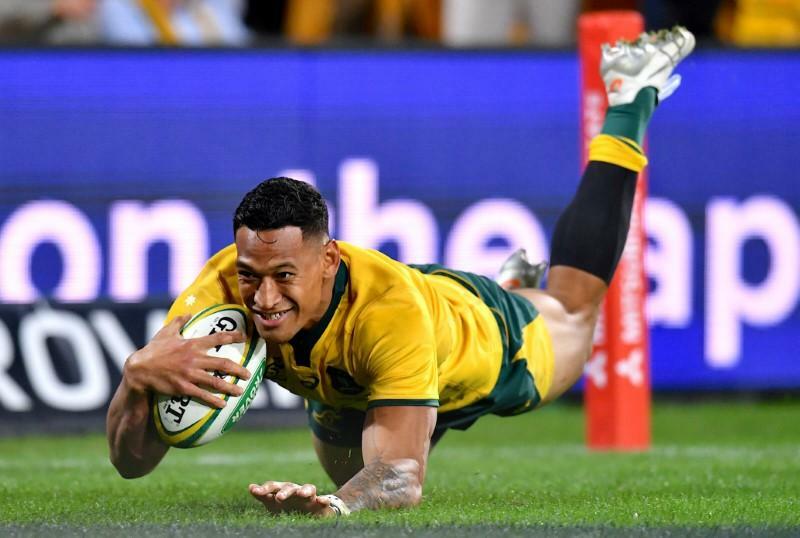 Wallabies star Israel Folau broke the all-time record for Super Rugby tries when he scored for the NSW Waratahs midway through the first half of their clash against the Blues in Auckland on Saturday. The prolific fullback surpassed Doug Howlett’s 59 during his stints at the Highlanders, Hurricanes, and Blues between 1997-2007, with the New Zealander needing 104 games to reach his target. The post Folau breaks Super Rugby all-time try record appeared first on SABC News – Breaking news, special reports, world, business, sport coverage of all South African current events. Africa's news leader..